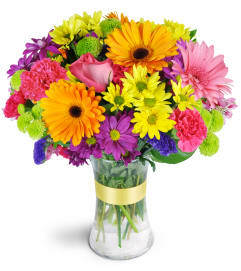 This elegant all-white arrangement is a perfect way to show your sympathy and support during a difficult time. 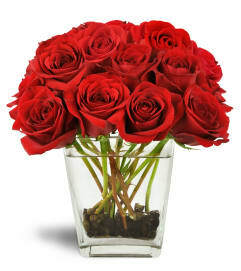 The lush arrangement of pure white blooms is delivered in an elegant, rectangular vase. 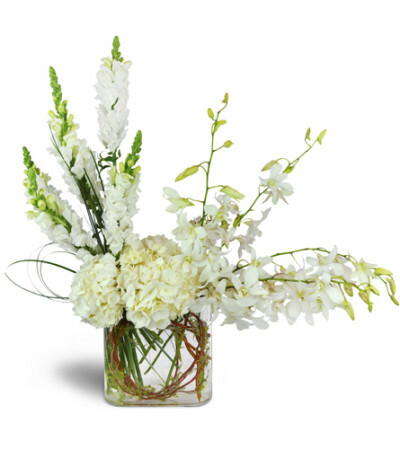 Hydrangea, snapdragon, dendrobium orchids, and more - all in pure white tones - are arranged in a luxurious rectangular vase.